Funeral Fund Blog: Skeleton racer Katie Uhlaender is at peace and on the right track. Skeleton racer Katie Uhlaender is at peace and on the right track. American skeleton racer lost her number one fan but she pulled herself back together again. Katie Uhlaender says that her father, major league baseball player Ted Uhlaender, was her number one supporter. When he died, the Olympic athlete was gearing up for the 2010 Olympics in Vancouver. “I just felt lost," Uhlaender said. "I was trying to figure out how to live life without my dad. … When I lost him, I had no purpose." Katie got help from Olympic gold-medal skier Picabo Street. With the help of Olympic gold-medal skier Picabo Street, Katie Uhlaender, who raced in the skeleton competition at Sochi this year found peace. "In Vancouver, she was the first person to tell me everything was going to be OK," Uhlaender said. Picabo Street provided the same guidance Katie’s father did, never giving the answers only presenting the possibilities. Picabo Street was at the Sochi Olympics, and she visited with Uhlaender at the Sanki Sliding Center. "I thought she maybe was on a path to self-destruct and I was like, 'No, dude, we're going to be all right. We're going to get through this," Street told reporters. "That vulnerability, it hit me hard, and I just kept real good track of her and stayed right on her." Katie is not riding alone. She takes her Dad with her. 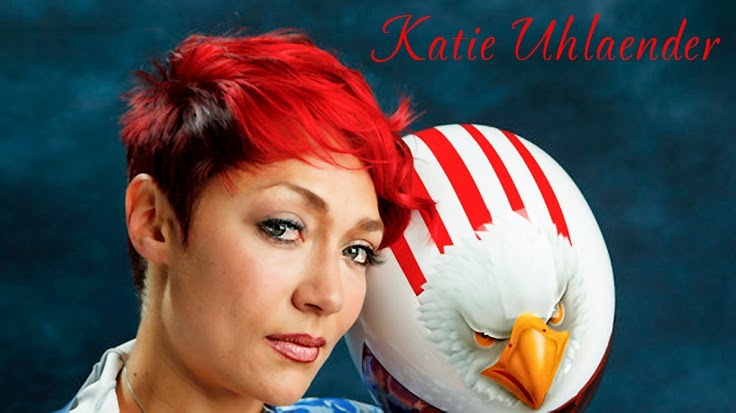 Katie Uhlaender is not riding alone. When US skeleton rider Katie Uhlaender speeds headlong down the track in Sochi, it may appear as though she’s doing it alone. She’s not. The 2012 world champion brings her dad along for the ride each and every time. 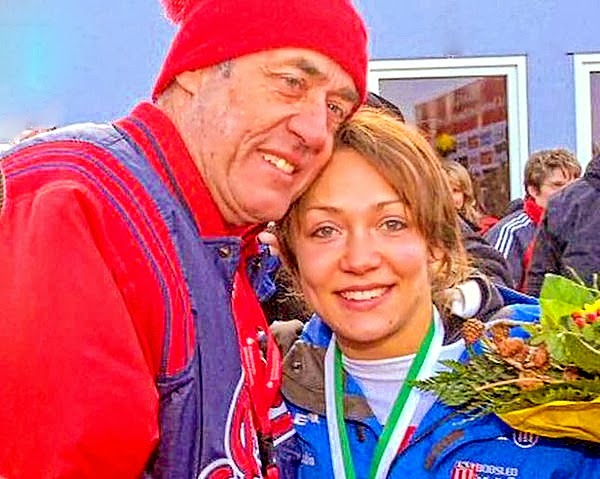 Uhlaender’s father, Ted — a former Major League outfielder with the Twins, Indians and Reds — died of a heart attack in February 2009, one year before her 11th-place finish at the Winter Olympic Games in Vancouver. After her final run at those games, Uhlaender broke down on the track, but after that vulnerable moment, she was finally able to begin healing, with the help of gold-medal skier Picabo Street. "She started making me think about things my dad did because he never gave me straight-up advice," Uhlaender . "He would always make me think about it and figure it out. She helped me rediscover that I have the tools to live life on my own. "In fact, maybe create my own destiny and something more awesome. I can do it on my own now. I didn't really need him to be there. But I reference him all the time in my thoughts." Katie keeps her dad close to her heart. Katie always keeps her dad close to her heart, wearing a small silver baseball locket containing some of his ashes when she takes to the course. In addition, Uhlaender carries one of her father’s baseball cards or his 1972 National League championship ring with her on the track. “Before he died, I would call him every day of a race, even if for just five minutes. He gave me this undeniable sense of purpose,” Uhlaender told the Plain-Dealer. “That's what gave me the drive of a warrior. We all heal in our own time. The timeline for healing; both physically and emotionally isn't always by the book. We wish you well, Katie.